You need to know how to clean a himalayan salt block if you want it to last. They are big, bulky and heavy, but they are so delicate. If not cared for properly, they will crack, break and not last long at all. A lot of information out there will tell you to just wipe it down with a wet cloth. Those people apparently don’t cook like I do on my salt block because a damp cloth just doesn’t cut it for me. A damp cloth won’t cut through the build up of juices and food debris that accumulates during cooking on a Himalayan salt block. This image is what mine looks like after the last time I cooked Salmon on my salt block. Not a pretty site and it’s not just the top surface that gets all caked up like this. The juices from your food run down the sides of the himalayan salt block and cake up there too! It’s not that simple to clean a Himalayan Salt Plate. 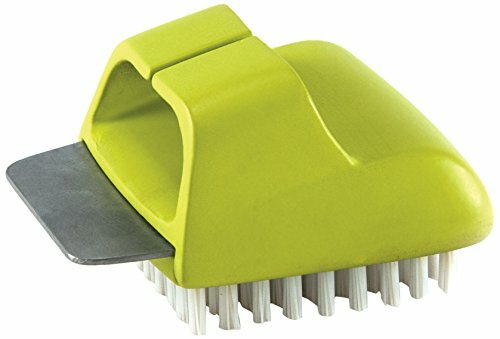 This little grilling companion tool is a lifesaver and makes cleaning your salt block easy! You do not wash a salt block. It’s salt and it will dissolve. This should go without saying but I will say it anyway. Don’t put it in the dishwasher. It won’t be there when the wash is over. Never use soap, it’s antimicrobial, so germs aren’t going to live there. First, let it cool. It’s just too bulky to try to handle hot. Get a good grilling tool and scrape all the debris off. 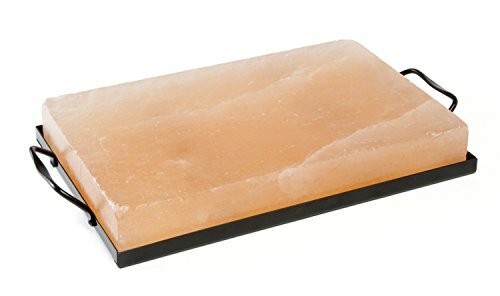 Can You Use Water When You Clean a Himalayan Salt Block? I do give my salt block a quick rinse if it’s really bad. Then I use a grill tool like the one shown here to scrub around on it real quick and rinse it real quick again. If you feel you need to use water to clean your himalayan salt block, do so sparingly and make sure to dry it thoroughly. 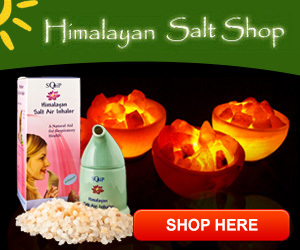 The himalayan salt does not dissolve as fast as your ordinary table salt. I found this out when I tried putting just the salt rocks in my bath. The bath got cold before the rocks dissolved. An hour later, the rocks where still sitting in the bottom of my bath. If you are going to use water on it, use it sparingly and dry it as fast as possible. The important thing is to make sure it’s dry and keep it dry. These blocks will absorb moisture from the air and sweat, which can deteriorate them over time. You can store them in a ziplock bag, wrap them in a towel for storage or you can get a salt block protective case. 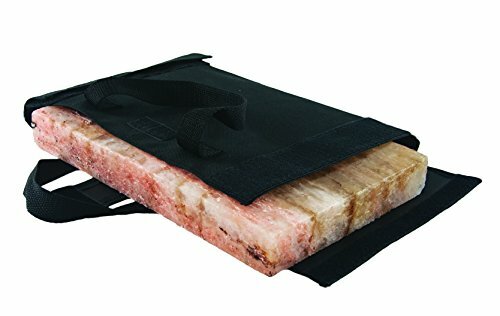 These Himalayan salt blocks will last you through dozens of cooking experiences if you heat it properly for each use, clean it correctly and store it in a dry place. « Himalayan Sea Salt and Honey – Magic Bed Time Tonic!